Gathered here is a half century’s magnificent work by the former poet laureate of the United States and Pulitzer Prize winner whose haunting and exemplary style has influenced an entire generation of American poets. Beginning with the limited-edition volume Sleeping with One Eye Open, published in 1964, Mark Strand was hailed as a poet of piercing originality and elegance, and in the ensuing decades he has not swerved from his vision of how a poem should be shaped and what it should deliver. As he entered the middle period of his career, with volumes such as The Continuous Life (1990), Strand was already well-known for his ability to capture the subtle music of consciousness, and for creating painterly physical landscapes that could answer to the inner self: “And here the dark infinitive to feel, / Which would endure and have the earth be still / And the star-strewn night pour down the mountains / Into the hissing fields and silent towns.” In his later work, from Blizzard of One (1998) which won the Pulitzer Prize, through the sly, provocative riddles of his recent Almost Invisible (2012), Strand has delighted in reminding us that there is no poet quite like him for a dose of dark wit that turns out to be deep wisdom and self-deprecation. He has given voice to our collective imagination with a grandeur and comic honesty worthy of his great Knopf forebear Wallace Stevens. With this volume, we celebrate his canonical work. 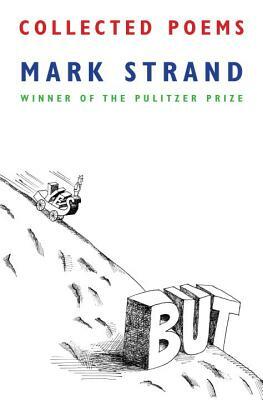 Mark Strand, born in 1934, was the author of many books of poems, a book of stories, and three volumes of translations, and was the editor of several anthologies. He received many honors and awards, including a MacArthur Fellowship, the Pulitzer Prize (for Blizzard of One), the Bollingen Prize, and the Gold Medal for Poetry from the American Academy of Arts and Letters. In 1990, he was appointed poet laureate of the United States. He died in 2014.